NEW YORK (WABC) -- Senate Minority Leader Charles Schumer is slamming President Trump for proposing major cuts to anti-terror funding. Speaking Monday night at his Midtown office, New York's senior senator says the Trump administration wants to slash funding for two counter-terror programs by 25-percent. "These funds are vital to New York. 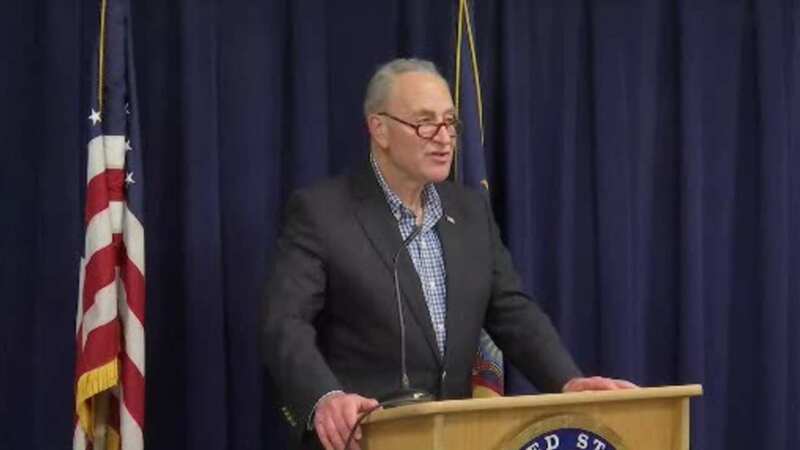 They provide extra police that patrol places where there are large crowds that patrol places like the Brooklyn Bridge that have a vulnerability to terrorism," Sen. Schumer said. "To cut them back makes no sense whatsoever." Sen. Schumer says he expects a bipartisan effort to get the funds restored. The White House has said anti-terror funds often goes unused, and more than 1.9 million budgeted since 2013 hasn't been spent.